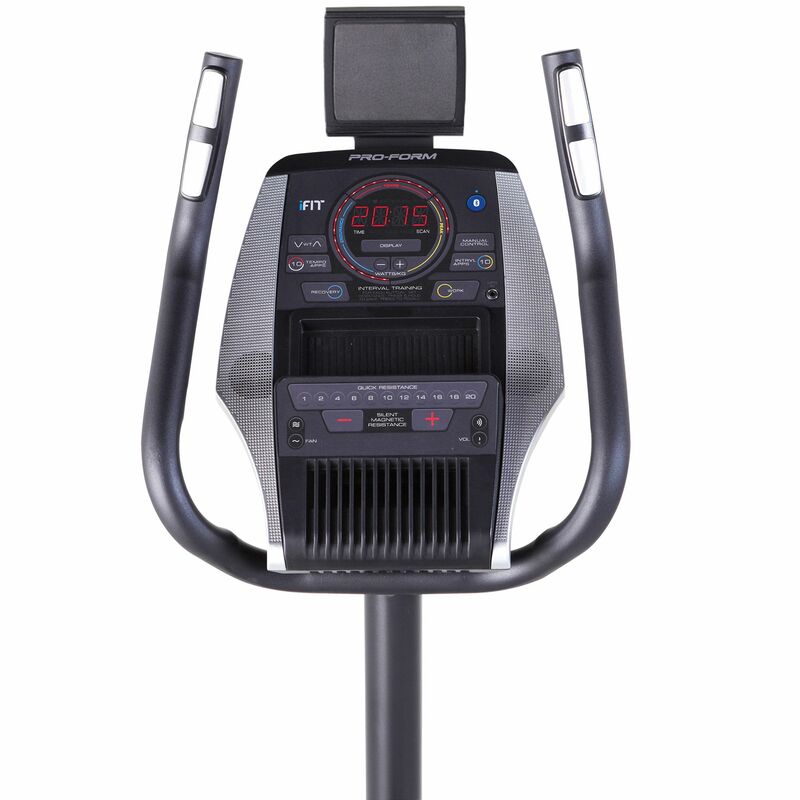 The ProForm 225 CSX exercise bike comes with an 8kg smooth-working, inertia-enhanced flywheel and 20 digital levels of SMR Silent™ Magnetic Resistance for comfortable and adjustable workout routines. 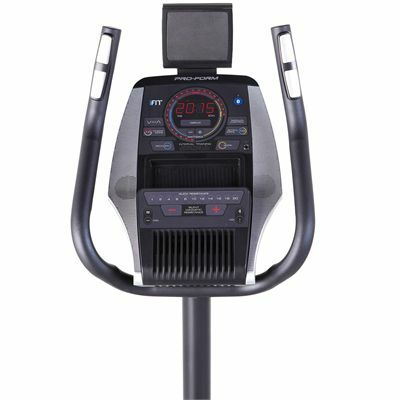 There is a broad selection of workout programmes (20 preset including tempo and interval apps and manual interval training) and you can follow your progress and feedback on the Round Watts LED display, including variable preview zones such as Endurance, Tempo and Peak. 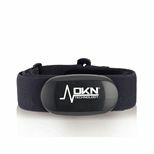 Additionally, there is an option to measure your heart rate by using the EKG hand pulse sensors or the Bluetooth™ wireless receiver (needs a Bluetooth smart chest strap). For more comfort, the seat features padding and can be adjusted for multiple users. 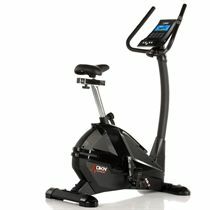 for submitting product information about ProForm 225 CSX Exercise Bike We aim to answer all questions within 2-3 days. 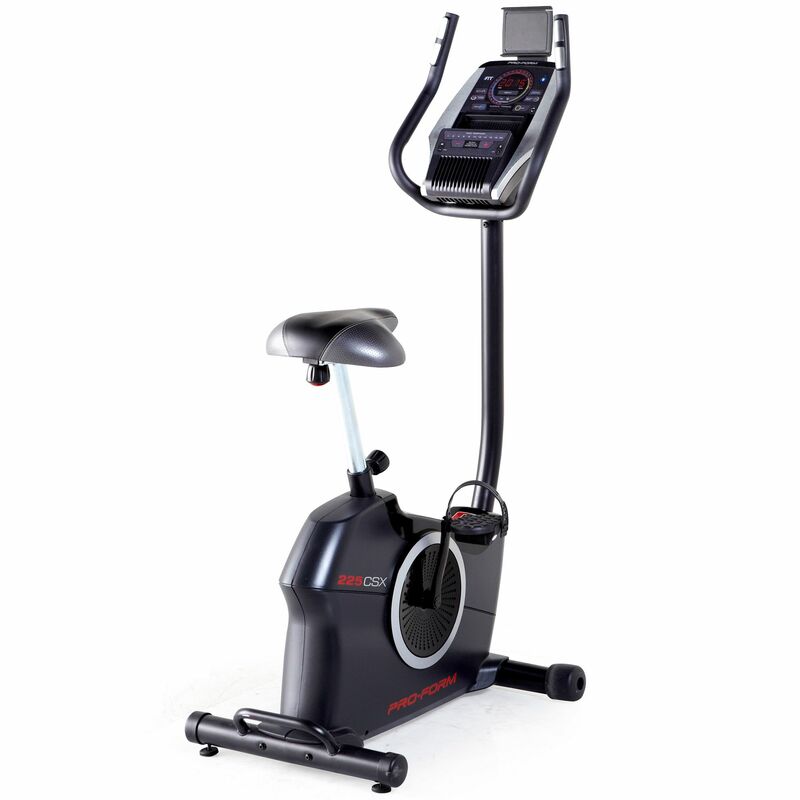 for submitting product information about ProForm 225 CSX Exercise Bike. We aim to answer all questions within 2-3 days. If you provided your name and email address, we will email you as soon as the answer is published. Does the bike come with a power adapter in the box? Or has it got to be purchased separately? Can you set this to just a manual setting ? Hi, yes. The 225 CSX offers 21 programmes including a manual one and 20 pre-set workout apps. 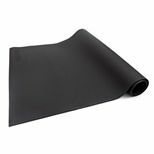 Reasonable price; good quality; so far meets all our expectations. 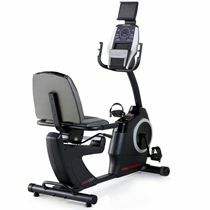 for submitting product review about ProForm 225 CSX Exercise Bike.